I always love putting this little vintage fish dress on. I'm pretty sure it was a beach cover-up back in the day but to me it's just an everyday dress. Whenever I wear this dress my friend always says it smells kinda fishy, but I'm pretty sure she's just hating on my dress. Haters gonna hate. I'm still pretty stressed from my still never-ending to-do list but I'm trying to manage my time better. Keep in mind, I'm only trying to manage time better, I'm not actually managing my time better yet. Speaking of managing my time better, I better go finish up my Management Information Systems assignment (sounds super exciting, doesn't it?) and then meet my friend for lunch. Oh man information systems classes are the most boringest classes ever! I'm in a marketing one right now (in fact I have the class in 40 minutes). This is such a cute dress. And I'm so jealous seeing you wear tights! Here I am in shorts and a tank because its going to be 100 degrees here! So insane! Cute dress! I love the belt over your jacket. Finally we can start wearing tights again! Such an adorable print but I can't deny that I would make the fishy joke too but purely for comedy value! Looks great with the knotted belt and your ever winning smile! its really cute on you! May I please use this as my favorite look of the week? I do love it very much! this is so simple yet so chic! 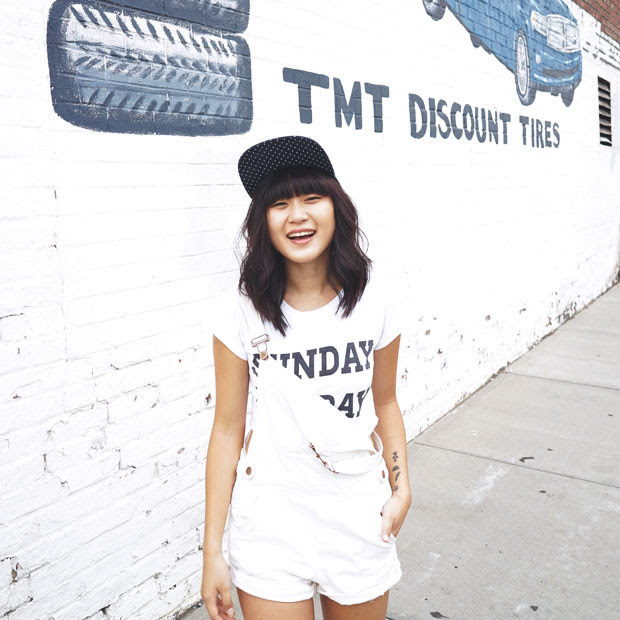 i love that dress and our belt hehe :) love the new changes to your blog too! i want your fishdress jen !! and that knotted belt is pretty ! Yup, haters gonna hate. :D I think it's great that you've made an FB page! I made one quite recently also for the exact same reasons. I want to keep my blog and FB separate. Plus, a page allows my friends who don't have a blog account to see my updates and what not! BTW THANK YOU SO MUCH FOR HELPING ME! I'll be sure to get going with the shop ASAP. :D Thanks for the great post. Oh I love it...how fun! Oh I love the print! So cute and unique. And you are so adorable girl. Love it! I have the worst time management skills ever. I should probably work on that too. i am so loving the fish print on your dress. so cute! so creative! Love it. and I love the way you tied the belt! SUCH a cute dress! Love the belted cardigan too. You look so adorable! 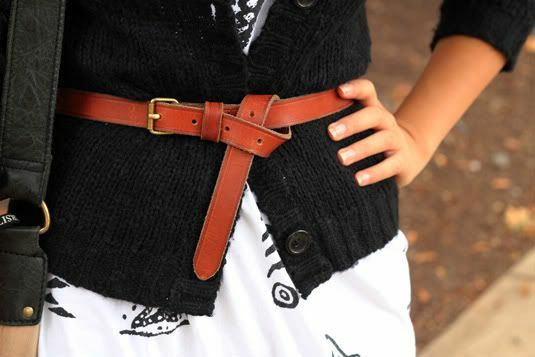 I lovvve the way you styled this belt! I think the fish dress is adorable, and I'm loving how you are making it work for the fall!